Adam Smears Head of Fixed Income Research and lead portfolio manager of the Russell Investments Unconstrained Fixed Income Funds globally, discusses the advantages of an unconstrained fixed income strategy in 2019.
of the Russell Investments Unconstrained Fixed Income Funds globally, discusses the four key challenges surrounding Fixed Income in 2019. With Brexit looming, trade wars dominating headlines and the volatility seen in 2018 showing no signs of abating, what should multi asset investors be focussing on in the new year? 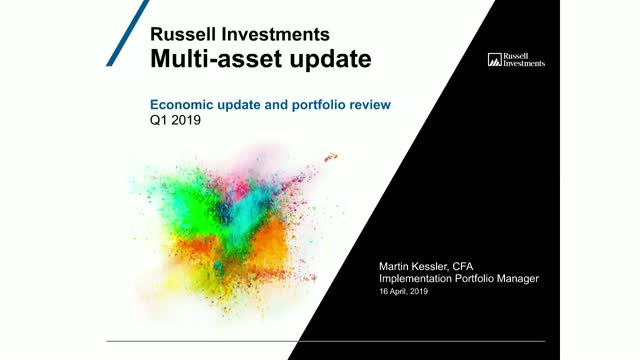 Join David Vickers, Senior Portfolio Manager at Russell Investments for an update on the multi-asset growth funds. David will cover 2018 performance, the impact of currency weakness, and his views on the outlook for 2019. Helping investors formulate and implement investment plans for over 70 years. Title: 10 years into an economic cycle – how extended can it be?